What is “25 April”? We are a group of venetians, “native” and not (venetians by choice, in all cases) and the group has been steadily increasingly its numbers from the 75 founders to more than 2,000 today. Whoever truly loves Venice is welcome here, irrespective of nationality and religion: this has always been the strenght of Venice, since the middle age: its capacity to attract the best energies from all over the Mediterranean Sea. Why are we creating this blog, and why now? Venice already has the status of “world heritage” but until now this was interpreted as a mere duty to protect its stones. Our view is that without people living in the lagoon and preserving their houses, their special skills and that very fragile environment, such stones will collapse as an empty shell. Like native indians in America (in the 19th century) we now risk being forced out of our environment, and this is what happened already to almost 100.000 native venetians in the past 60 years: “forced” out of the lagoon, to live “on the other side of the bridge” (the mainland) because of the cost of living and the lack of appropriate job opportunities: Venice is so successfully attractive as a tourist destination that prices have rocketed to sky and the only jobs available risk being those related to the one industry of mass tourism, which are not remunerated enough to afford living in the houses where our parents and grandparents used to live: those houses which were built on water hundreds of years ago and survived to everything, until now. This is not what we dream for our children: being a waiter in a restaurant, or having to move somewhere else. How to define a “venetian”? It is not an issue of identity card but of lifestyle. For instance, Irish people around the world still celebrate St. Patrick’s Day. In the very same way, venetians are proud of celebrating St. Mark’s Day. The tradition wants that every venetian gentleman (native or not native, living abroad or not) on this day offers a single red rose – one and only one, to mean that the woman who is offered the rose is unique – to their wife or girlfriend. The young boys do the same, to their mother or sister. 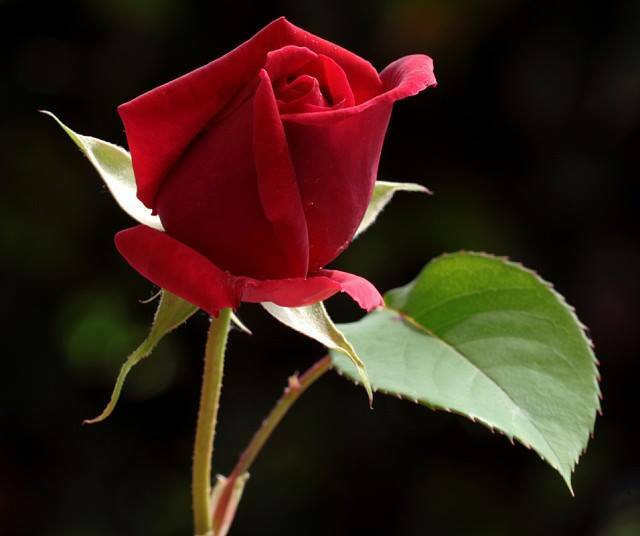 In venetian language, such rose is called “il bocolo”. This new blog is the red rose we are offering to the city we love. Because this city can be loved or hated, but when you love it you love it. Happy St. Mark’s Day, to you all, wherever you live and wherever you were born. Venice must be saved from officials who are more interested in tourism and commerce than in preserving the history and uniqueness of this great city. I greatly support the petition to stop the digging of the canal. I have been living in Venice for 20 years now. I would be interested to hear serious proposals on the way to salvage Venice. My friends, my family, has been obliged to move out of Venice, to live on the mainland. But this has nothing to do with tourism. For instance, in the case of my brother-in-law who has a large apartment in Cannaregio, it is simply because he was fed up to wake up at 6h00 in the morning and to waste more than an hour to go to work. In the case of a friend working in Monselice,, he left Castello because it was taking him 2 hours to go to work. And, if you are honest, you will recognize that having more or less tourism in Venice would not change their fate, their being forced to move out of Venice. They keep their apartment there, but rent them to the tourists, which is nice for them. Could you explain why it would be better to rent them for 600 euros a month to a tenant who would stop paying after the first month – thanks to inadequate Italian laws, instead of getting 2000 euros from tourists, who could not stay in Venice otherwise. What is your logic ? Are you working for hotel owners ? Please tell us the truth ! Of course, you can cancel my post, although it would be dishonest. You can give me a blabla answer, but, there is no serious alternative. All the crap against the Venetians renting their apartments to the tourists is just a protest from the hotel owners. Thanks Louis. No we don’t and we have made our proposals to reconcile those who live with tourism and those who would like to live in Venice without getting addicted to or depending on this only source of revenues. Thanks for the work you are doing to save Venice! We are here to help promote responsible tourism and to campaign against le grande navi! Nous avons passé 4 jours merveilleux à Venise. Mais nous avons aussi été témoins d’une arnaque dans le restaurant AI DO FRADEI. Un groupe de jeunes asiatiques n’avaient visiblement pas compris que les prix affichés sont pour 100g! Comment pouvons nous contribuer à porter plainte auprès des autorités? Pendant ces journées j’ai dit à mon épouse ” aqui tutti e belli “. Sauf la trattoria Ai di Fradei! !!!!! Bonjour Xavier, ce restaurant fait partie de la même chaine que la “Osteria da Luca” dont la presse a parlé pour d’autres épisodes similaires. Pour porter plainte il faut d’abord apporter les preuves de l’arnaque. Nous n’avons pas été personnellement arnaqués, mais témoins de la table voisine. Pour les deux pizzas que nous avons consommé, j’ai gardé un ticket de caisse qui ne mentionne ni l’adresse de l’établissement, ni aucune taxe. Est-ce légal en Italie ? We have the same problem in Seattle, WA USA. Rents have doubled. Where do I go? This is my home for generations too. I wish you success in getting a handle on the kind of greed that ruins a city. I would like you to tell your Mayor that it is rude, mean and discriminatory to ban sitting down. Many visitors are not young! Or they have a disability and still love Venice. Where are all the benches, then? Does he think we can hover? That should embarass decent people. I’ll tell you, people will start carrying backpack chairs. If don’t like wheeled luggage noise…You can’t force people into spending money in expensive cafes constantly just to get a minute off their feet. Venice has already prostituted herself by allowing the hideous cruise ships to penetrate the city and ruin views for visitors who dream for a lifetime to see La Serenissima! I know it is hard to fight greed and reclaim Venitian values of hospitality but I wish you success. I have to disagree Alisa – when you visit someone else’s home you need to respect their things. Sitting around and not sitting to enjoy bel paese in a small cafe (given the Florian is outrageous, but you are paying for history) is not in line with what it means to be Italian and Venetian. The large cruise ships disgorge too many that flood the street to take pictures and leave, acting as if they are watching a show on their television at home. I have been to Venice twice and have always found and appropriate spot for respite (sitting quietly in a church reflecting and praying, taking a ride on a vaporetto, taking an appropriate length pranzo, or retiring back to the room), not sitting in the middle of a bridge, or on the front step of an establishment, or in the middle of a square like a gypsy.